This topic contains 82 replies, has 2 voices, and was last updated by sonyc 2 months, 3 weeks ago. Special note: Vopt was a commercial program sold by Golden Bow Systems. Howard Barry Emerson, the author of Vopt, recently passed away and dictated Vopt to be made free after his death. Take a moment to thank the man for his generosity. I knew Barry and Elizabeth his Lady – for at least 20 years. Marvelous fellow, marvelous couple, marvelous creator of VOPT the best of the best Defragmenter in the world. With Wife Cathy, we often visited San Diego and spent wonderful times with both of them. And we’re VERY SAD that Barry is Gone. Great man, Great Programmer, Great FRIEND. The program Vopt.exe must be closed before continuing. Please close the program and click Retry to continue. Vopt wont start. After the download the program keeps saying to close the exe. That’s as far as I got. well, thought it might have worked out.Not sure if theres a trick to installing and starting this program because I couldn’t get it to work. If you are getting the “The program Vopt.exe must be closed before continuing. Please close the program and click Retry to continue” error. Cancel the install, start the program again saving the install vopt.exe program. 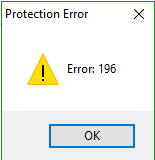 Cancel again when you get the same error. Rename the VOPT’s install program vopt.exe to vopt9.exe and run again. The program is checking if vopt.exe is running and the install program is also named vopt.exe. Renaming the vopt.exe install program should fix this problem. [@wentry] Thank you! Your directions worked like a charm! toda esta mierda es una burla. but the solution is simple, save installer to disk and rename it to somethning different than “Vopt.exe” (e.g. “Vopt-installer.exe”), because when it is named “Vopt.exe” installer detects running proces “Vopt.exe” and thinks that you have Vopt already installed and running. What a big hassle!!! It’s usually GiveAwayOFTheDay that has things that don’t work. I expect better from this site. Disappointing. When I try to install this program it tells me to stop vogt.exe and when I do so the installer also stops and I’m back where I started. i.e. impossible to install. Won’t install with W10 continually stops and says program must be closed to continue then when you close it it blows off the installation. Even for free it’s not worth wasting the time.